Disney Cruise Lines has released new cruise itineraries for early 2016. You have lots of fabulous itineraries to choose from – and as you know Disney cruise lines is the very best for families. Disney gives you the choice of 3,4,5 and 7 night sailings on their 4 amazing cruise ships. 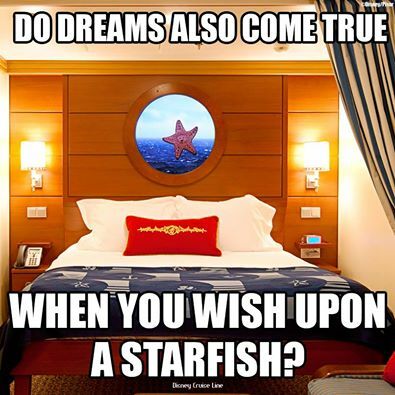 Which Disney cruise will you choose? Disney Fantasy is the newest of the Disney ships and sails from Port Canaveral Florida all year round on Caribbean itineraries. You can sail away on a Disney Fantasy cruise from just $1,120 per person for a 7 night Eastern Caribbean cruises in a standard inside stateroom, based on 2 guests sharing a stateroom. The Disney Dream will continue her usual 3 and 4 night Bahamian sailings out of Port Canaveral Florida for 2016. This is a great way to get a taste of a Disney cruise at a great price as rates start at $375 per person for three-night cruises, $500 per person for four-night cruises. This is for a standard inside stateroom, based on double occupancy. This sails on 1/8/16, 1/15/16, 1/22/16, 1/29/16, 2/5/16, 2/12/16, 2/19/16, 2/26/16, 3/4/16, 3/11/16, 3/18/16, 3/25/16, 4/1/16, 4/8/16, 4/15/16, 4/22/16 and 4/29/16. The Disney Magic has some varied 3, 4 and 5 night sailings from the port of Miami for early 2016. The Disney Magic will sail to Port Canaveral Florida on February 3rd and begin 3 and 4 night sailings from there. A new port stop in Tortola! There are some interesting itineraries for the Disney Wonder sailing in early 2016 – mostly out of Miami but also one sailing from Galveston and some out of San Juan. The Disney Wonder then repositions again to Miami to sail 4 and 5 night itineraries. If you want to book any of these new 2016 itineraries they go on sale to Gold and Platinum Castaway Cay members on October 29th. Silver Castaway Cay members and the general public can book from October 20th. The new Disney Cruise Line sailings for 2015 go on sale to the general public on 21st May. If you want to book a Disney cruise the usual pattern with pricing is that it is best to book as soon as you possibly can. Yes there are sometimes some last minute bargains but there are the exception rather than the rule with Disney. We always recommend that you use a great Disney travel agent and we trust Destinations in Florida – so click on the link below for a FREE No Obligation quote. Eversave: Get 2 Whistle Key Finders for just $5 Shipped after New Member Credit!